Conservative Anglicans have been angered that the Muslim call to prayer was performed at Blackburn Cathedral during an Armistice ceremony to honour the dead of World War One. 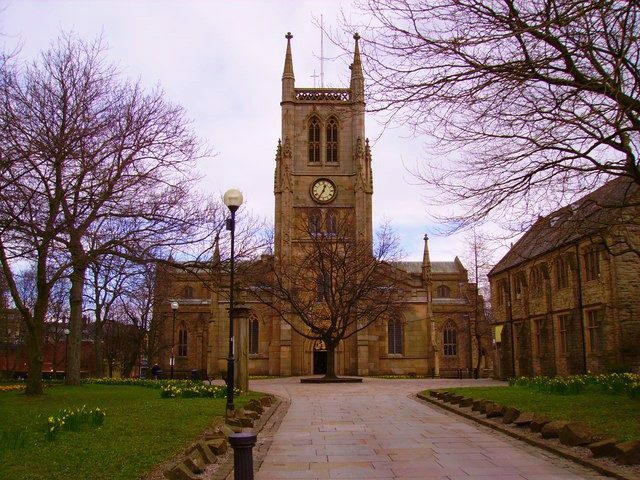 The Sunday Times revealed that the Blackburn Music Society, which often holds events in the cathedral, decided to ask an imam to perform the second movement rather than a musician, with the imam selected on recommendation from the Blackburn with Darwen Interfaith Forum. Peter Howell-Jones, Dean of the Cathedral Church of Blackburn Saint Mary the Virgin with St Paul, told The Times that he did not know the piece contained the call to prayer until shortly before the performance and did not want to upset anyone by asking for the prayer to be omitted. “I don’t think this should have happened here. If people are going to call for my resignation there’s nothing more I can say or do to people to pacify them because actually, I agree with their arguments,” Mr Howell-Jones said. Susie Leafe from Gafcon UK, a conservative Christian organisation, told the newspaper: “Islam and Christianity disagree about the two most important questions in history: was Jesus God in human form? And did Jesus rise from the dead? Reverand Ashenden resigned from his post in January 2017 after condemning the reading of a passage of the Quran at a Scottish cathedral during an Epiphany service which denied the divinity of Jesus Christ. Calling the reading “blasphemy,” he added that as well as apologies to the congregation “apologies may be due to the Christians suffering dreadful persecution at the hands of Muslims in the Middle East and elsewhere.” No apology was made, however.